Count on us for professional garage door installation, repair and maintenance services. We have everything needed to handle any problem you have with your door, from broken springs to misaligned tracks. Give us a call today and get the best service in California. Our team of competent garage door repair technicians is at your service. Are you looking for a professional company that you can rely on when it comes to your garage door? 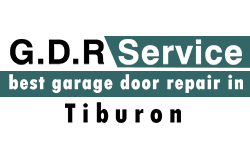 Count on us at Garage Door Repair Tiburon! We offer an array of residential services, and are ready to tackle any possible issue from a lost opener remote to a broken torsion spring. No matter what type, make or brand your door is, we've got you covered! If you need same day repairs, interested in installing a brand new door or simply need a good advice, give us a call! We are ready to take your call – anytime, any day, throughout the year. Moreover, our competitive prices mean that you will always get value for money. Garage door spring repair is one service that we are quite familiar with. Springs will eventually wear out and need to be replaced. They are either attached to the side of the door (extension springs for light doors) or above the door (torsion springs for heavy ones). We carry quality garage door openers from brands such as Genie, Lift master, Marantec, etc. There are different types of drives used with the door opener: screw, chain and belt drive. The belt drive is the quietest and the most expensive, the chain is the noisiest and least expensive, and the screw drive is not as popular because it is loud and known to operate slower. Maintenance and Adjustments need to be done yearly. If not, repairs can get quite expensive. Our advice for homeowners is to perform a monthly check to see if there are any lose bolts or screws. If there are adjustments that need to be done just give us a call and our technician will be glad to do all your adjustments and lubrications for you. When it comes to garage door remotes - If you have an opener you will need a remote. It's a necessity if you happen to be in and out of your home all day. With a remote handy you can close the door behind you without having to get out of your car. We use products like Liftmaster security, Genie Intellicode, Multicode, and Clicker and our technician will easily install one for you. Having properly working garage door sensors is a must. The sensor will stop the door from closing if there's an object under the door. The safety sensors are installed on the bottom of the door. There are also infrared and photo eye sensors as well. Finally, have you ever tried to open your garage door and felt like something is holding it back? It could be that the cables and tracks need to be repaired or replaced. Have our trained technician do the repair for you with our same day service. When you have an urgent or an ongoing problem with your door, spring or opener - count on our local garage door company. We respond quickly and provide a solution in the shortest possible time. Our skilled and experienced technicians are fully equipped to repair and replace panels, hardware parts and electronic components. For years, our company has been working with all door and opener brands. Our range of services includes installation and maintenance too. Rely on us to install a new automatic door for you and to keep it in perfect condition in the long term with cleaning, lubrication and worn part replacement. Our professional garage door repair company in California is at your service, whether you need a simple repair or a full installation of a new door. We are available in the 94920 zip code area – give us a call today.